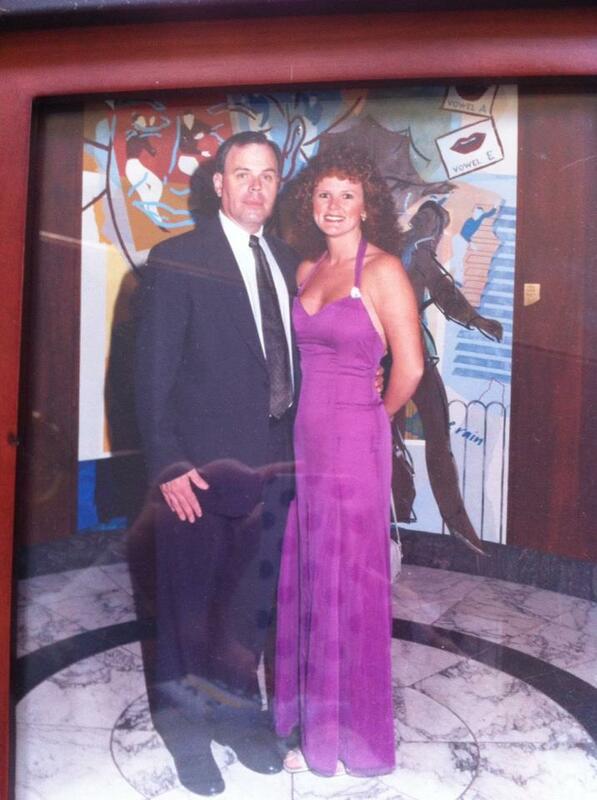 The picture above was taken on a cruise ship in 2001 approximately 30 minutes before I proposed to Bobbi. (explaining my mix of expression between joy and stage fright). In minutes that followed I was to knell on the floor, by a table in the center of the dining room and propose to Bobbi with ring in hand. I was thinking of this moment as we prepared for a cruise this weekend and I realized that all the really great “spontanious moments” in my life were really well orchastrated events. That the fact that they looked spontanious was more of a credit to the planning than the spur of the moment thought. Yes, there are the rare moments of true spontaneity where you act on whim rather than thought, where you are overcome by the moment. But the moments I had in my life like grabbing a horse drawn carriage to tour central park with my love require planning…knowing where to get the carriage, having enough cash, checking on the weather, planning for a blanket if it was cold..all require planning for the spontaneity of the moment. When I proposed to Bobbi , beyond the purchase of the ring, I had to plan for hours before- Spoke the the matred’ to get the right table and have him bring out the ring to me with a pillow I had purchase. I selected the table, the champagne that was brought moments after the proposal, and the flowers that were delivered. That sponstanious moment had to be mapped out to well..appear spnstanious. Women are complicated creatures, whom at 53 I am only begining to understand and appriciate fully. Women say they want men to be romantic and spontaneious, and are constantly disappointed when they are not- this is because they are asking for the wrong thing. Instead they should be asking for careful, thoughtful, detailed planning which is so well done it appears to be spontantious. I think of the process like getting ready for a big meeting or special date. You can’t just roll out of bed and look like your ready to seize the world and capture the Goddess. You have to send your suit to the cleaner several days before, polish your shoes, pick out the right tie and cufflinks. So that when you finally meet that Goddess you look like you have been waiting for her all your life..the magic spontanious meeting is a direct result of effort. Neither a romantic or poet, Mr. Burns was known more for his monitary policy than his prose. But, I think he nailed it with that expression which reminded me that spontaneity just doesn’t happen. As you go though relationships in in life it will be the ones you work to keep the planned spontaneity happening that survive. The planning is vital to success and each other’s happeness. The secret truth is that with passage of time in a relationship the romance isn’t the first thing to go, its the desire to work on the plan that goes. It doesn’t disappear because of proximity or comfortableness, its disappears because we stop planning. Being thoughtful requires thought. 2014 I made a pledge to myself that I was going to make the Goddess in my life feel like one. What I realized was that 90% of this was the process of planning out my schedule to make time for “dates” and ” conversations”. It takes constant effort to make it appear effortless. A lot of understanding life centers around the understanding that what people are asking for is not always what they need or what they really want. If you associate the request for “spontanity” in a relationships as a request for more planning, life will become earier to understand. Nothing in life worth anything will come to you without effort, and nothing worth having can be kept without more effort.